Casey Anthony Attorney Jose Baez Says This Case Will Not Define Him on Verge of Jury Selection … Wanna Bet! No way Jose … oh contraire mon frere, the Casey Anthony case will most certain define your career. Talk about your lack of confidence going into a case. Win, Lose or Draw … Baez entire career will be a result of the Casey Anthony case. Pic From Baez Law Firm.com: Just curious, if one does not think the case will not define them, why do you have a pic from a VIDEO of the Casey/Caylee Anthony case on your web site? Just saying. As reported by the Orlando Sentinel, Jose Baez, the defense attorney for Casey Anthony in the death of her daughter Caylee Anthony, stated that he will not be defined by this case. Really? Looks like Baez is going into the case with a lack of comprehension and enormity of the case. Any one who thinks that the Casey/Caylee Anthony murder case is doing going to define Baez’s career, must also think that the trunk that smelled like a dead body was in it, really does think it was a pizza. He maintained he is committed to the case, but insisted his career will not be defined by the Casey Anthony case. This is a rather peculiar tack to take on the eve of jury selection in the Casey Anthony murder trial. Baez has hardly any legal trial reputation to fall back on in his career. Or is defending the jaywalker and individual parked in front of a fire hydrant what will define Mr. Baez? All joking aside, Casey Anthony hardly wants her case to go the way of Nilton Diaz, a Lake County man arrested in the death of a popular boxer’s granddaughter. Diaz was found guilty of murder. However, if you lose and lose in a major way, you’re name will be mud. Ask Marcia Clark and Christopher Darden how their reputations were affected by the OJ trial. That is not to say that Baez has already had his share of “blowfly” gaffes and mockeries of the law. Imagine if any attorney had the chance of making a deal for their client and getting them to serve 7-15 years, but instead insisting on having a case go to trial and having their client wind up with a murder conviction and the rest of their life in prison. Not to say that is going to happen to you Jose, but that hat looks good on you though. The attorney said he’s not nervous. For more of the Casey Anthony murder trial of Caylee Anthony follow on Scared Monkeys Forum: Caylee Anthony and Blink on Crime. Caylee/Casey Anthony Case: Will Expert Witness Order Reveal Jose Baez Defense Strategy? Casey Anthony case: Why does Jose Baez hire wrongful death Attorney? I would not let him handle my traffic tickets. He failed to make a plea deal. The retarded defense does not work in Florida. Jose the Clown makes a mockery out of any Criminal Attorney or DUHFENSE in our Legal System. Can’t believe how incompetent this FOOL is. And if his Companion, Foghorn Leghorn knew what he was doing as a DP qualified Attorney—they would have had the MURDERING MOTHER cop a plea from the beginning. She’s going to rot in that Prison for life or get the needle for what she did to her own flesh and blood. I would love to have Jose Baez as my attorney. He shows the kind of characteristics that all attorneys should have when representing a client. He has great morals, and believes in his client. Only God in heaven knows the truth in this matter of Caylee/Casey Anthony case. My prayers are, that the truth be revealed! I would appreciate that no person slanders my personal opinion, because we all are entitled to that. No harassment, please! SM: LOL … you will not be harassed, you will have people respond to your comment. They have the right of free speech as do you. However, I would strongly suggest you think it over as having Baez as an atty, Casey is either getting a needle or life in prison. What an atty that is. Sorry, he has messed up in jury selection. You can have him. I think Caseys father looked guilty when he was been question by Baez he was nervous.Bt when the prosecutor question him he was relaxed.I hope they could proof, your a sicko so you go to jail. Does Jose Baez really want us to believe that Casey was sexually abused by her father? 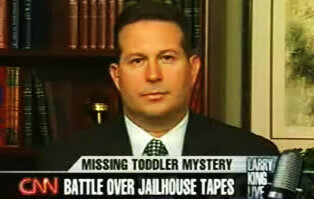 The more I listen to Jose Baez spin these ridiculous yarns, the more disgusted and convinced I am that she is guilty. I do not believe Casey was sexually abused by her father. God will have to come down from the heavens and tell me that it is the truth. I am a victim of mental, physical, and sexual abuse by my stepfather, and have had group sessions with others with similar experiences. Victims of sexual abuse usually live with the trauma for the rest of their lives. Yes, they may become promiscuous, withdrawn, insecure, worthless, put up some barriers, and try to dull the trauma and pain by living in a fantasy world. However, the one thing most of us that have been victims of sexual abuse do not do, is leave our children alone with our abusers. We become overprotective of our own children. Casey’s behavior is totally different, she may have shown love for her daughter in the presence of others, yet she did put that baby at risk, taking her to her hang outs, which may have involved use of alcohol, drugs, etc. She made her baby sleep in the same bed with her and different boyfriends. I am certain at some time, she would have to get up or leave the room and leave her daughter alone with one or some of these men. Sexual abuse victims are usually suspicious of new men around their children, and usually have to gain trust in them. Casey put her daughter in harms way in many ways, and repeatedly. Casey Anthony is a sociopath and a narcissist. Since all the evidence points to her as the murderer of her own child, she has conjured up all these lies, will continue to lie. and put daggers even in her parents hearts to save her own skin. Caylee became a burden, and an obstruction in Casey living that “Bella Vita” she so wanted to enjoy. Casey may have done, or given her baby something to put her to sleep, and it killed her. As for George and Cindy Anthony, they may not have been the best parents in the world, and obviously spoiled Casey to the core, but they demonstrate nothing but love for their daughter and granddaughter. They are in such a difficult situation losing their precious granddaughter, and now they are about to lose their daughter too. I pray for them that through the grace of God remain strong, and can endure this trial. It has been proven with no doudt that she is a pathological liar of the highest degree. A VERY ill individual whom I would not be surprised killed her child, possibly by mistake but is so narcissistic that truth eludes her. Baez and her are of the same ilk IMO. Crass, self-absorbed, ignorant and foolish. This WILL define Baez as such. Baez and his ego got in the way right off the bat. At the time he took this case he had been a member of the bar for only 3 years !!!. He saw this as an opportunity to be famous. He had to hire the lawyer, Mr. Cheeny (who is death penalty qualified) in order to try the case, however Baez and his ego hasn’t even let him help. Bottom line, Baez is no more than an ambulance chaser playing with a girls life. WILL THE DEFENSE CALL THE DOGS IN TO TESTIFY? As nuts as this trial is getting I’d think so…. So now what scard monkey? Care to eat your words on Casey getting off on Murder charges??? I’m shocked!